Numerex Corp (NASDAQ: NMRX), a leading single source provider of secure machine-to-machine (M2M) products and services, announced today the launch of its M2M interactive platform. The new capabilities – including web services application program interfaces, website integration, and integrated smartphone applications – are part of the highly configurable, intelligent, cloud-based Platform as a Service (PaaS) that supports interactive data, location, and messaging services. The platform leverages the Numerex carrier-grade infrastructure with geographic redundancy for the secure, reliable delivery of enhanced M2M connectivity and services. Enterprise customers can now easily incorporate web- and smartphone-based remote management into their M2M solution. For example, smartphones can be enabled to receive a notification when a driver reaches a job site, to activate a security alarm, track tank levels, or get any other alert based on selected threshold parameters related to the monitored asset. 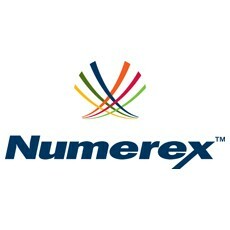 Designed to leverage Numerex’s robust existing infrastructure and Numerex FAST® service delivery platform, the interactive platform can link disparate connectivity technologies together and deliver smart data communications to devices in almost any M2M environment, contributing to improved operational efficiencies for the enterprise. The Numerex interactive platform, which is supported with 24x7x365 operations coverage, enables business-to-business customers to rapidly deliver advanced end-to-end M2M solutions to their customers over a common integrated platform. Numerex designs and supports applications that are easy to brand or white label, and support both multi-tenant and dedicated service deployments based on customer requirements.